Leo Q+A is back and we had the pleasure of chatting with the man-of-the-hour-dujour, Christoph Riebling - digital strategy director from Leo Burnett Frankfurt. Read below to get an "in" on this avid runner's view on the ad industry and more. Describe your role in one word: Plan-of-attack. If you weren’t in advertising, what would you be doing? Writing, recording and performing music. What’s on your to-do list this year? Keeping up the morning runs through winter. What's the first thing you do in the morning when you arrive? Grab coffee. Where do you do your best thinking? In a room with people when approaching the deadline. What creative talent would you most like to have? I wish I could draw more than just boxes and arrows. If you could be a character in any commercial, who would it be? Christopher Walken in the "Made of Cool" campaign. What’s your greatest advertising-related fear? Of course: The blank sheet of paper. What’s your current state of mind about the advertising industry? Digital is overrated. Not because it is not important but because it is not that hard to manage. Some people have problems to identify what is changing. But even more people have a hard time figuring out what hasn't changed at all. What living creative person do you most admire? Elon Musk. How would you like to end your career? On a high note. What do you consider your greatest creative achievement? When I was still a professional musician: Entering the charts for the first time. That was priceless. And producing an album using the fresh equipment that we bought from the royalty advance. We had little experience and no time to read the manual. What’s your idea of happiness? I deliberately have no fixed idea. That would spoil the fun. What advertising lingo do you most overuse? Wow, I don't know. I probably BS-Bingo a lot but am incapable of creating a hit list. What’s your biggest advertising regret? Not being able to hire the people I thought were great due to circumstances I contributed to. What trait do you value most of co-workers? Curiosity, professionalism, craft. What do you think most people misunderstand about the business? 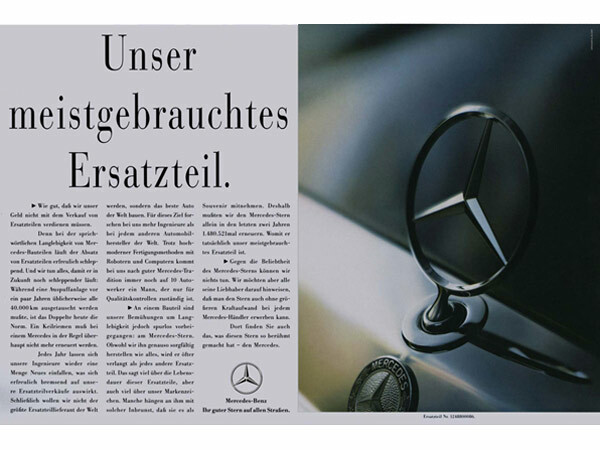 Especially in Germany people suspect advertising is merely about manipulating people. I don't think this is true. If you could change one thing about advertising, what would it be? Undo the separation between creative and media. What’s the quality you most admire in a creative director? The ability to criticize work in a way that people are overly motivated to make things better. It's an art. What’s the quality you most admire in an account executive? The ability to keep everybody happy. Take a look at past Leo Q+A's, click here.